In case you've been on a technology cleanse for the past month and didn't already know, HubSpot recently released Enterprise versions of their three main platforms: marketing, sales and service. With their new Sales Hub Enterprise, they're now a heavy hitter in the arena of enterprise-level CRM platforms. An arena previously owned by Salesforce and Microsoft Dynamics. So, what does it mean for us to be a strategic launch partner of Sales Hub Enterprise? And what does Sales Hub Enterprise mean for you? We're here to answer both of those questions. What Does it Mean to Be a Strategic Launch Partner For Sales Hub Enterprise? Being a HubSpot Agency Partner sometimes has its perks — especially at the Diamond-level. Sometimes we get early access to new features, sometimes we can provide advice and insight into the agency program, and sometimes we're selected to be a strategic launch partner of an amazing new product! As a Sales Hub Enterprise launch partner, we're one of only 11 agencies chosen to help HubSpot onboard new customers onto this platform. With this additional status, we're excited to lend our expertise to new clients looking to upgrade their HubSpot Sales platform or trying to migrate their CRM to HubSpot. It also solidifies our standing as a top HubSpot partner worldwide, as only a handful of agencies were selected for this program. Though this is a new product, HubSpot has worked with us closely to ensure we're ramped and ready to start helping customers get started successfully on Sales Hub Enterprise. What does Sales Hub Enterprise mean for you? First, it means you now have another option when evaluating enterprise CRM softwares. While Salesforce and Microsoft Dynamics used to dominate this space, HubSpot has become another leading option. 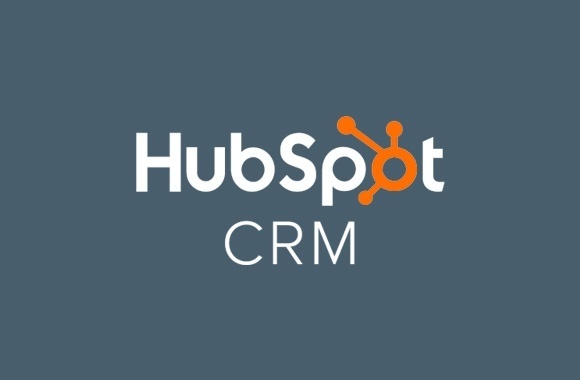 If you're already using HubSpot for any of your marketing, sales or service efforts, it would be a natural next step to consider Sales Hub Enterprise for your CRM. Yes, Salesforce integrates well with the HubSpot platforms, but nothing can beat the experience of using two products together that are meant to be used together. There's a great integration and then there's a seamless extension of two products becoming one. If you're not already using HubSpot, then you should know its main differentiator is ease of use. Twelve years ago, when HubSpot first released, they were determined to make marketing technologies easier to use for a wider audience. Today, Sales Hub Enterprise is no different. If you ask any marketer, salesperson or operational guru, HubSpot's Sales Hub Enterprise is user-friendly, easy to learn and less clunky than your typical options. And if you're unhappy with your current CMS, marketing automation platform or CRM, then migrating to HubSpot could solve all of those problems with one software solution. Does it streamline your workflows and approvals to make lead and sales management easier? Can it record calls, emails and other interactions with your contacts? Can it capture eSignatures (through an additional integration, like DocuSign)? Does it provide accurate and specific reporting on the data your company needs most? Will it scale with you as your business scales? That last question may be the most important. If you're a company in the earlier stages of growth, you want your CRM to be able to scale with you into all of the later stages of growth. Why go through the headache of a CRM migration now, only to do it all over again in the future? This is another key differentiator of Sales Hub Enterprise. Even if your business isn't in need of an enterprise CRM immediately, one day you'll get to that level. And if you get started on HubSpot Basic or Professional, you can grow with HubSpot all the way to Enterprise — without ever needing a platform migration. Twelve years ago, HubSpot launched an all-in-one marketing automation platform designed for small- to medium-sized businesses trying to scale their growth. It can be easy to forget that they've developed into so much more than that. Now, HubSpot is an all-in-one marketing, sales and service platform designed to help companies of all sizes grow better — from startup to enterprise. In the future, we can only imagine what they'll evolve into next, but New Breed is excited to be along for the ride.